Hempstead launched their garden in April 2011 as part of the Green Vision Education program and the Wading Pool Garden program. The success behind Hempstead’s garden is it’s model of student engagement through what they call the “Green Team”. This team of students help maintain the garden, implement composting, and organize projects. 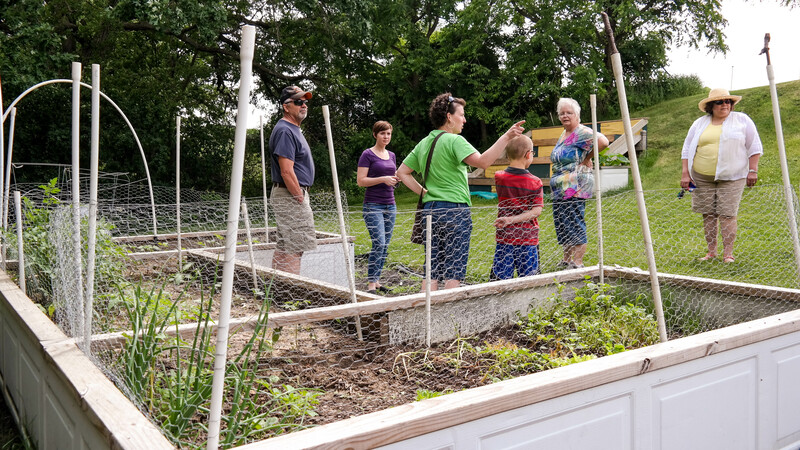 In addition to the green team, teachers and faculty are utilizing the garden as an outdoor classroom space. garden. They currently have 7 tumbler composters which they utilize primarily during the fall and winter months, along with a three-bin composting unit near the garden. 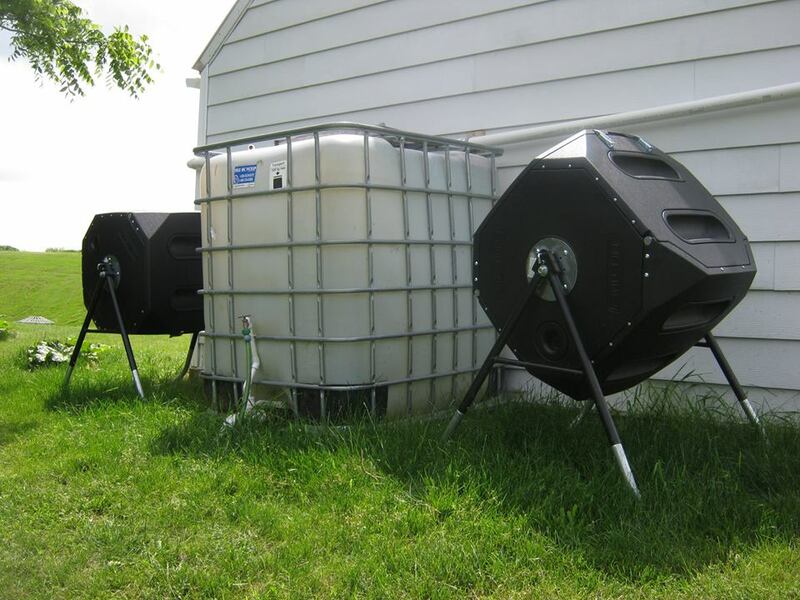 This school garden has also installed a rain collection system, which is positioned up the hill from the garden with future hopes to install drip irrigation, powered solely by gravity. In 2013 Hempstead School Garden installed a greenhouse to start seeds and serve as a learning platform for students. 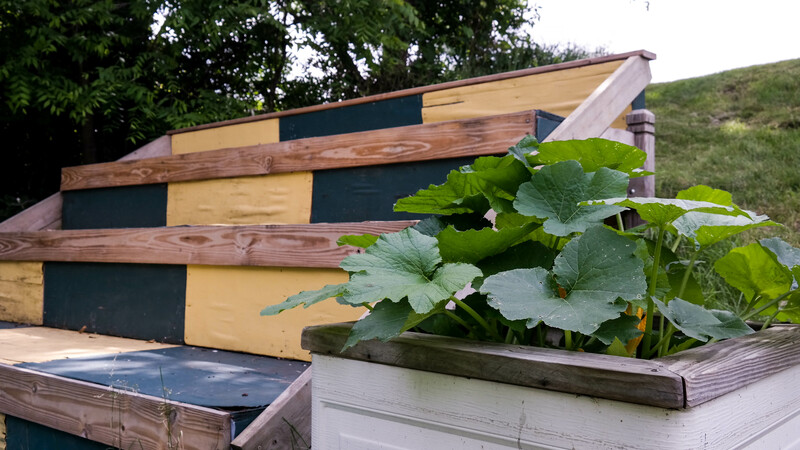 In 2013-2014, as part of a Girl Scout Gold Award, Alyssa Mendenhall, planned, designed, and constructed raised garden beds made of up-cycled garage door panels. In addition, she built outdoor classroom seating and a three-bin composting system using recycled pallets. In 2016, in partnership with Trees Forever, through grants awarded by Alliant Energy and Black Hills Energy, Hempstead planted 30 trees on school grounds, 8 of which were fruit trees (apple and pear). Hempstead is working on a plan to implement drip irrigation. They will also be seeking resources for solar panels to power their greenhouse, materials and infrastructure to the garden so the garden can be made accessible to all students. Hempstead High School Garden is still in the process of acquiring materials and resources to accomplish their projects and visions for their garden. If you are interested in helping them fulfill their goals, want to get involved, or have questions, please complete the contact form below.